Warning: there are full spoilers ahead if you still haven’t seen Ant-Man and the Wasp, particularly the post credits scene! Ant-Man and the Wasp ended on a triumphant note for the titular heroes as they renewed their romance and their partnership. Then Avengers: Infinity War caught up with them. In the post credits scene, the entire Pym family disappeared as part of Thanos’ “Snappening,” leaving Ant-Man trapped in the Quantum Realm. 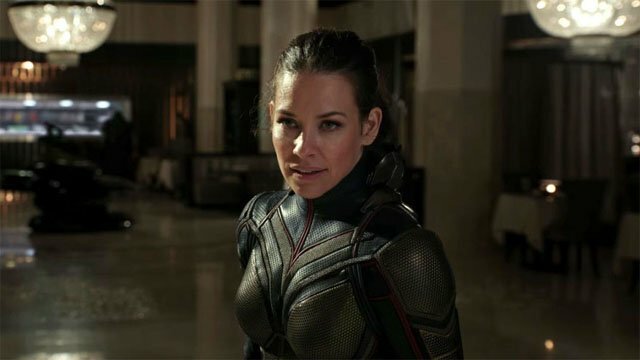 While the Pyms didn’t turn to dust on screen, their fate was was filmed, according to Evangeline Lilly, who portrayed the Wasp/Hope van Dyne. Lilly explained that she and her co-stars, Michael Douglas and Michelle Pfieffer, didn’t have the benefit of Infinity War‘s context. And that affected how they performed in the scene. Despite that lack of awareness, the scene still plays like a gut punch at the end of Ant-Man and the Wasp. It may even have some hints for Avengers 4, but we’ll have to wait until May 2019 to see if any of the fan theories pan out. What did you think about Lilly’s story about the shooting the Snappening? Let us know in the comment section below!